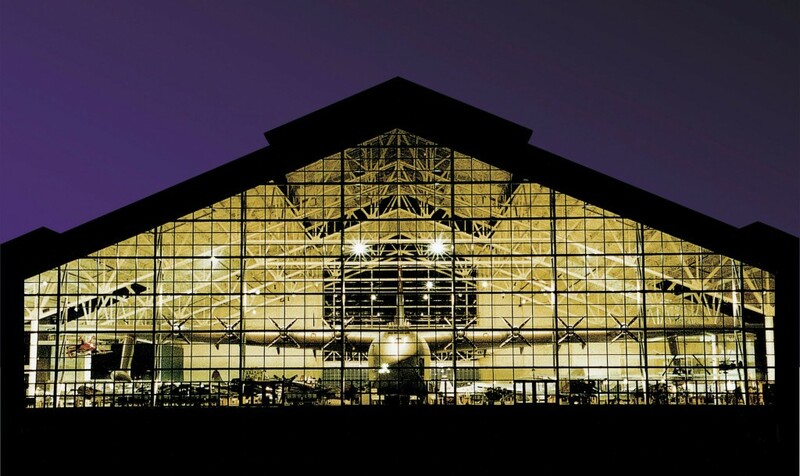 The Evergreen Aviation Museum collection in Oregon recently sold their P-38 Lightning and B-17G Flying Fortress to help the museum during a restructuring and reorganization. 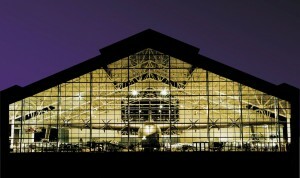 With generous donor support, the aircraft will be operated by the Collings Foundation. The P-38 is a unique and rare survivor. This famous WWII aircraft helped turn the tide in both the Pacific and European theaters of war. The new B-17G will supplement our bomber tour. While similar to the beloved “909” in form and function, this B-17 has a slightly more fascinating (and clandestine) history. 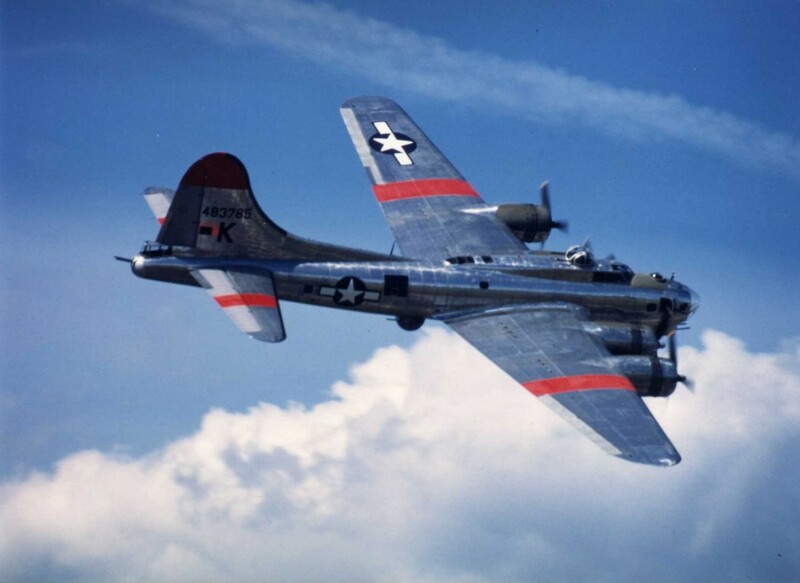 The B-17G was a great bomber, but not perfectly suited for the war’s final days over Japan. In late 1945 new B-17Gs were no longer being camouflaged. They left the factory in gleaming bare aluminum. When the war ended, many new B-17Gs were being flown directly to long term storage, sold, or even scrapped. The postwar military found varied uses for B-17Gs. For example, our current “9o9” had been re-designated as a TB-17H or “Training Bomber” before becoming an SB-17G sea rescue aircraft with a Higgins lifeboat attached to the underside. Later, it became an A-bomb target and finally a civilian owned fire bomber. 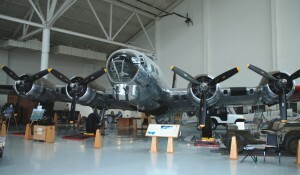 The B-17G coming to us from Evergreen Museum (picture above) has a story that is a bit more complicated. While the US Air Force was getting into pressurized bombers and jet aircraft, large numbers of flying B-17s were doing dangerous atomic research work or else being expended as targets called QB-17Gs. Their durability and utility as drones also allowed other Air Force units to operate the B-17s in special roles for surveillance and agent insertion, as well as clandestine “eaves dropping” missions near and over hostile territory. During the 1950’s and 1960’s penetration of the Iron Curtain was an important goal for the CIA. This new organization, flush with money and political power, found in the B-17 a stalwart platform for difficult missions. Organized in 1951 in a company called Western Enterprises Inc. of Taiwan, and working with crews sourced from Civil Air Transport (CAT) of Taiwan, five B-17s entered service and began training for missions over mainland China. These planes were drafted into the Republic of China Air Force (RoCAF). Between 1954 and 1959 CIA Operations flew these few B-17s extensively over the Chinese mainland. Because they were not supposed to be there, CIA operatives “sanitized” the planes, preventing them from being identified as US military aircraft. The serial number and data plates were removed from all the aircraft, and their USAF military records were ended with an LI code or (loss to organization outside the USAF). These B-17’s were painted flat black and identified by three digit serial numbers. The planes had racks where a serial number could be switched by sliding in a new number plate. Our new B-17 is the sole survivor of these five special mission aircraft that fought in the cold war. It is a veteran of an unknown number of dangerous missions over mainland China hiding from Mig 17s! A survivor of secret Cold War aerial combat! The five RoCAF B-17Gs were numbered “739”, “357”, “815” and “835” and“639”(Evergreen’s B-17). During these dangerous missions three were shot down by the PLAAF or PLA (People’s Liberation Army Air Force). “739” lost over Fujian May 26, 1954 by AAA, crew of four killed. “357”shot down over Jiangxi on June 23, 1956 by a PLA Mig 17, eleven killed. “815” shot down over Guandong May 29, 1959 by a Mig 17PF, fourteen killed. The fourth surviving B-17 RoCAF “835” was given to Air America in August 1960. The fifth B-17 known as “639” was later identified as 44-85531 and ended up at Clark Field, Luzon in the Philippines. It is believed this veteran of secret Chinese over-flights was retired between 1958 and 1960. After 15 years outside the continental US, the B-17 “639” was brought back to California. While in Burbank she was modified to carry the Fulton Skyhook (picture top right), a system designed to recover agents and material from places that could not be reached by helicopter or STOL aircraft. Seen in action during the 1965 movie “Thunderball,” this B-17 with a Skyhook snatches James Bond and Domino Vitali from a raft in the closing scene (see picture right). This was three years after a real intelligence caper that truly was movie worthy, the execution of “Operation Coldfeet” during 1962. Two agents parachuted down to an unattended floating Soviet Drift Station NP8 in the Arctic Ocean. After removing research equipment, they returned to the B-17 via a Fulton pickup with secret information from the clandestine floating Soviet station. In 1962 the plane was registered to Intermountain Aviation, another CIA front company. This B-17 was used sparingly until perhaps 1969. During that year she was converted to an air tanker, then used as a firefighter until 1985. Trying to distance itself from the company’s CIA roots, Evergreen repainted and eventually reregistered N809Z as N207EV. 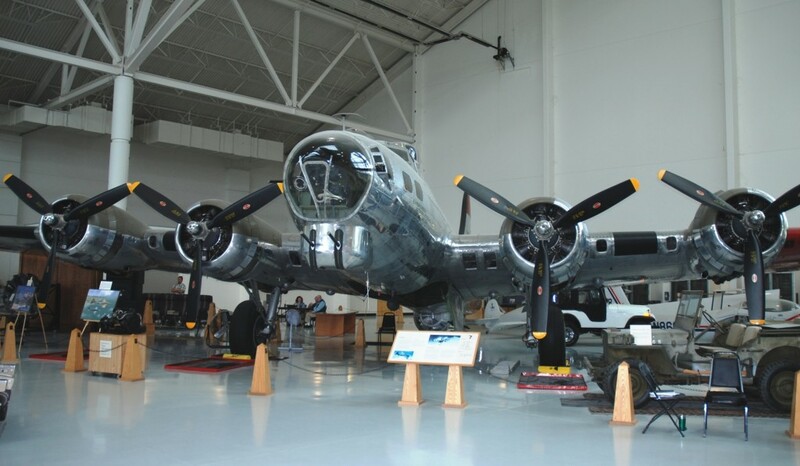 Restored as a B-17G with a full set of turrets, N207EV was flown for a few years before moving to the Evergreen Museum in Oregon for display. Once transferred to the Collings Foundation, this B-17 will undergo a detailed inspection and restoration to flight-worthy status. This brilliant, polished and unique B-17 will be a fantastic addition to the national Wings of Freedom Tour, and further the outreach of the Foundation. Help Restore the Tuskegee Airmen Fairchild PT-19A to Flying Condition! American Heritage Museum Takes Shape!